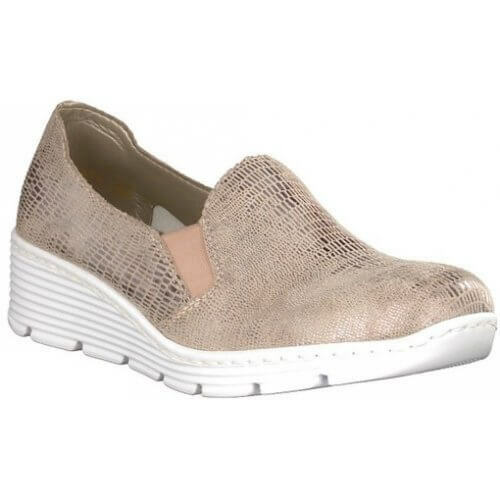 Rieker Misty 587B0 womens slip on shoes. It features a high quality faux leather upper with a beautiful metallic overlay. The double elasticated gusset provides adjustability and also means the shoe can be slipped on and off with ease. It has Rieker's Anti-Stress technology that provides shock absorption and flexibility while the cushioned insole provides lasting comfort. 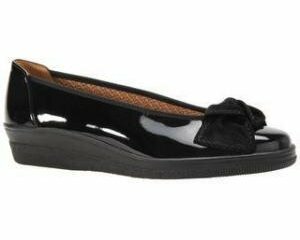 The ideal shoe for all day wear, it is so lightweight!